I'm in Haven: CAS-ual Fridays 73...For the Girls! SPECIAL ALERT!!! (Just happened before posting tonight!!!!) 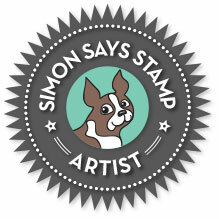 Check out the CAS-ual Friday blog HERE for some late breaking news of a prize surrounding the NEWS!!! 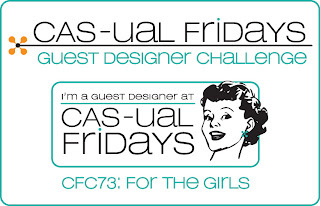 They are generously giving the winner of this week's challenge a $25 gift certificate to have some fun shopping on their site AND the winner of this week's challenge will be next month's guest designer on CAS-ual Fridays!! 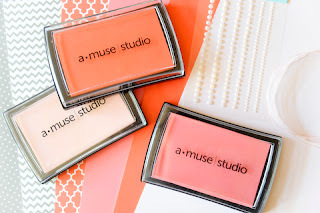 Make sure to check out THIS post on CAS-ual Fridays and leave a comment for your chance to win the Fight Like a Girl stamp set AND these wonderful A Muse products...valued at over $50!! WOW...just for leaving a comment...Michele will randomly choose a winner...you don't need to play in the challenge to win and you can comment every day to increase your chances of winning...FUN!!! Shell paper, ink, ribbon A Muse. Watermelon paper and ink A Muse . The only things used on all these cards that were NOT A Muse Studio: EK Success flower punch , black and gray ink, and white paper. Thank you, A Muse for reminding us all how important mammograms and early detection are...the lives of beautiful, valuable, important, history making women are being saved!! 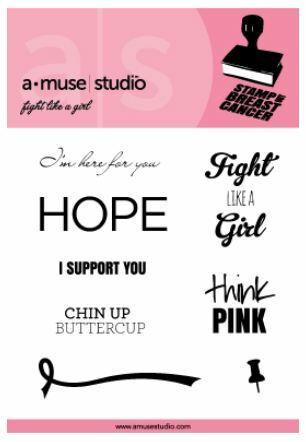 Let's all do our part in not only loving, encouraging and supporting the women in our lives affected by breast cancer, but to take all the measures and steps to prevent and detect it for ourselves...take care of and love yourself, too!!! Each and every one simply fantastic Lisa... thanks for the inspiration! Wow! All kinds of gorgeousness!